Thomas A. Baxter III, with his wife Johnnie L. Baxter founded Aviation Fuel Systems Repair Inc. in 1988. Thomas as the Pres/CEO and Johnnie as the CFO. In 1989 they were joined by Randall R. Reihart Sr. who came on board as the V.P. and Director of Quality. 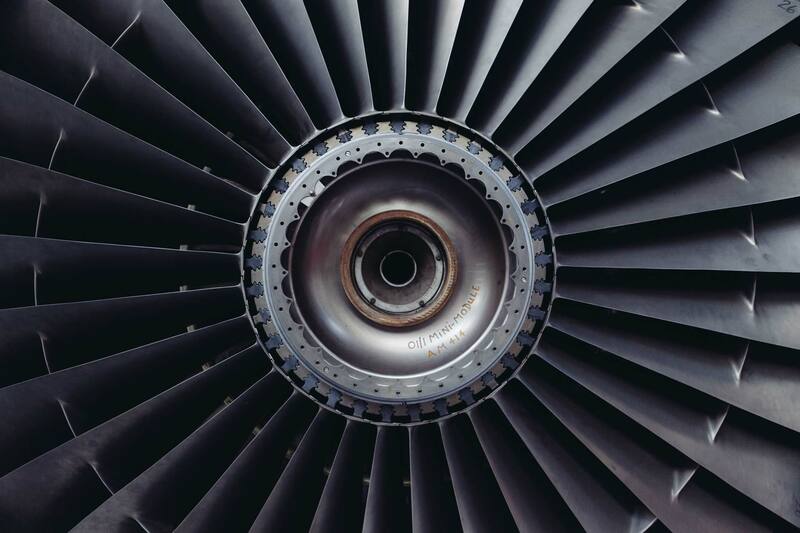 AFSR came into existence when a need for specialized experience was needed in the area of fuel systems maintenance, in the aviation industry. Within a short time our customer base grew to include, Airlines, Air freight operators, Corporate, Military, Private, and Charter operators through out the U.S. and across the world. With the addition of third party maintenance facilities Aviation Fuel Systems Repair, Inc. has become a major force in the aviation industry. Aviation Fuel Systems Repair, Inc. is an FAA approved repair station, with two locations; the home base Ontario, CA “QFRR548K” and a satellite station at the Los Angeles airport “QFRD548K.” Specializing in aircraft fuel leak detection, repair, and fuel cell recertification, Aviation Fuel Systems maintenance covers a multitude of aircraft types and numerous years of aviation familiarity. Supervisors average more than 10 years of aircraft fuel systems maintenance covering commercial, military and corporate aircraft. Our skilled technicians are on call 24 hours a day, 7 days a week, and can be dispatched anywhere in the United States in a matter of a few hours, and overseas as fast as it takes to get the proper documentation in order. AFSR, Inc. was founded on the proven concept of Quality Service, Competitive Prices, and Timely Deliveries. It is the purpose of Aviation Fuel Systems to meet your maintenance needs with quality and service you can depend on. With numerous repair events and satisfied customers behind us, Aviation Fuel Systems continues to move ahead to become a constant and reliable source for your fuel system maintenance and repair needs. We at Aviation Fuel Systems Repair, Inc. are an FAA Approved repair station. We specialize in aircraft fuel leak detection, repair and fuel cell recertification. This is a service we offer for our customers to expedite the repairs needed, and give you a one-stop-shop rather than having to deal with numerous suppliers to correct one issue. Our team has successfully diagnosed and repaired fuel issues on planes from the smallest cessnas to the largest jets. We have the latest in equipment for trouble shooting fuel quantity systems on these aircraft. Q: What kind of hours will I be expected to work? A: AFSR is a 24-7, Aviation service company. You will be expected to be flexible in the shift and hours you can work. Our customers call when their aircraft is down. Calls come in day and night, week and weekend. Q: What kind of work will I be doing? What part of the aircraft? A: AFSR specializes in the aircraft fuel systems. You will be working anyplace on the airplane where the fuel system is involved, Wings, Horizontal, Fuselage, almost everywhere except the engine. Q: Do I have to go inside the wing of the aircraft? A: Yes; inside the wings is where most of the work is done. Some of the areas are very small, if you are Claustrophobic, this may not be the job for you. Q: Will I have to travel? A: Yes. AFSR responds to the location where the aircraft are located. It could be as close as the Ontario airport or as far as China. Q: Do I have to provide my own car? A: Yes; in most cases you will have to drive yourself to and from the job site, just as you would with any other job. You must have a reliable car. However if the job location is outside a pre-specified distance, transportation will be provided by AFSR, either by ground or if needed by air. Q: Do I get paid to drive my own car? A: Only if you are asked by the corporate office to drive outside a predetermined distance. Otherwise it's the same as if you were working at K-Mart. Q: Do we work inside a hanger? A: Sometimes. If there are no hangers available we will work on the aircraft outside in the elements, sometimes cold and sometimes hot. We work in the Mojave desert in the summer and Alaska in the winter, both inside and out. Q: How long does it take to respond to a call? Q: What can I expect when an AFSR team arrives on the job site? A: From a matter of a few hours to the time necessary to acquire visas and make flight arrangements if the job is overseas. A: When an AFSR team arrives, All preparations on the aircraft should have been complete as per instructions between you and the team leader. With just a little review of the write ups, the team will start testing and inspecting the discrepancies and planning the repair process. Q: Will I have to provide transportation and lodging? A: If the job is away from our home base, you will have to pay for transportation and lodging. Either the team leader will take care of it and you will be invoiced, or if you wish you can arrange for and pay for it direct, thereby eliminating an additional service charge. Q: Will I have to pay Per Diem? A: Yes, you will be invoiced in accordance with the JTR's or GSA. Q: How many hours a day will the team work? How many days a week will the team work? A: The team will work whatever overtime you authorize. However we do not like to work the teams more than 16 hours without a break. They become ineffective at that point. The team will work 7 days a week if required with your approval. Q: When can I get an estimate of how long the repair will take? A: As soon as the team leader can determine what the cause of the discrepancy (s) is/are the team leader will sit down and review the work with you, giving you an estimated time for completion.